Star Wars: The Force Awakens opens December 18th and fans are already speculating over what lies beyond for the biggest franchise in pop culture history. 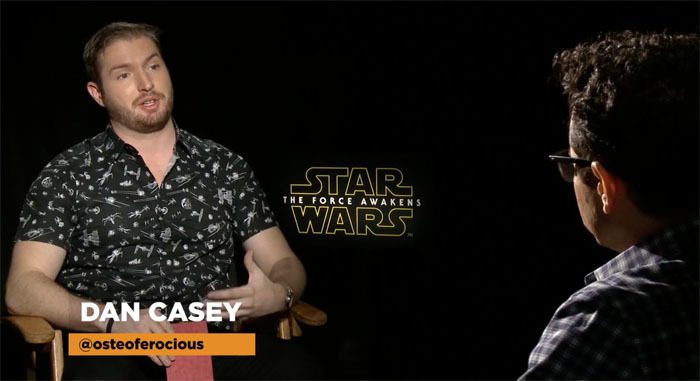 Nerdist’s Dan Casey (author of 100 Things Star Wars Fans Should Know & Do Before They Die) sits down one on one with Star Wars: The Force Awakens director J.J. Abrams to discuss which female writers or directors Abrams would like to see tackle the franchise at some point in the future. 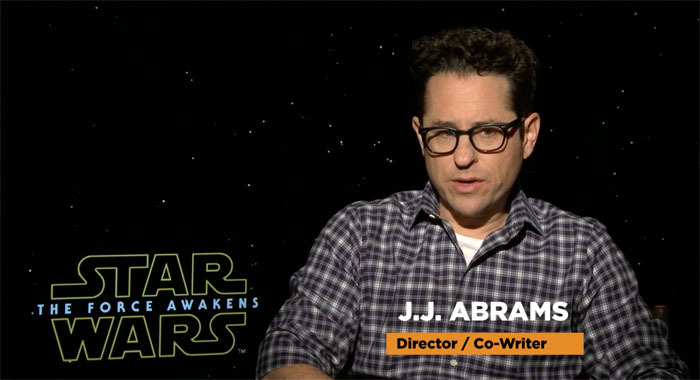 Abrams expressed great confidence in “a number of incredible (female) writers and directors.” He applauded the work of Kathleen Kennedy as a producer. And then Abrams zeroed in on Selma director Ava DuVernay. DuVernay is, no doubt, a major talent. And Abrams definitely wants DuVernay to direct a Star Wars movie. You can view the interview right here.